Stay tuned for meeting updates! Sign up below for your FREE ticket to our next meeting! We pride ourselves on obtaining the most cutting edge and relevant industry information and providing you with quality education. Should you have any questions regarding our upcoming classes or meetings, shoot us an email or give us a call. We are here to help! While providing quality education The Wealth Club fosters and promotes a friendly networking environment. Every meeting we dedicate one hour to Networking, so make sure to bring your business cards! Join the movement, investors helping investors! Every meeting is an opportunity for you to make connections, obtain relevent industry information, promote your deals and get funding. There's a reason we are called the "Most active Real Estate Investor Club in Houston." 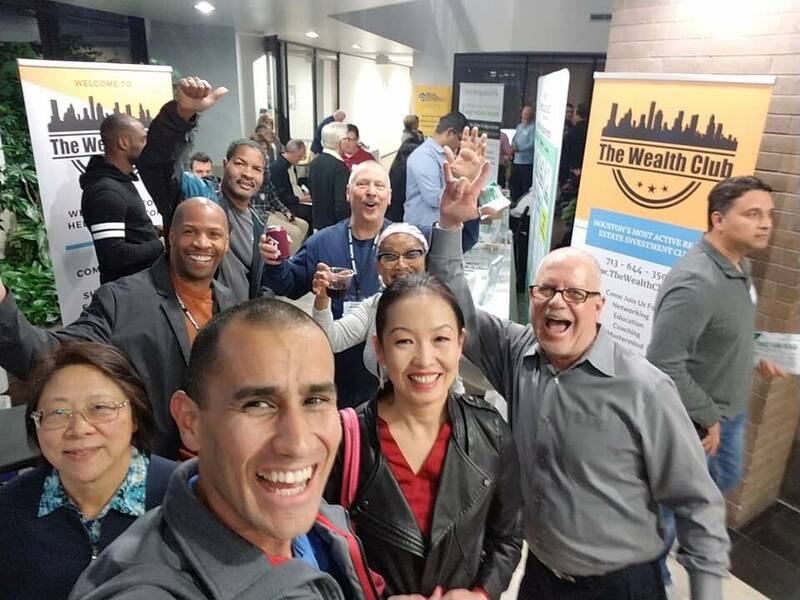 Enter your email, name, and phone number to receive your FREE ticket to the next Wealth Club meeting!